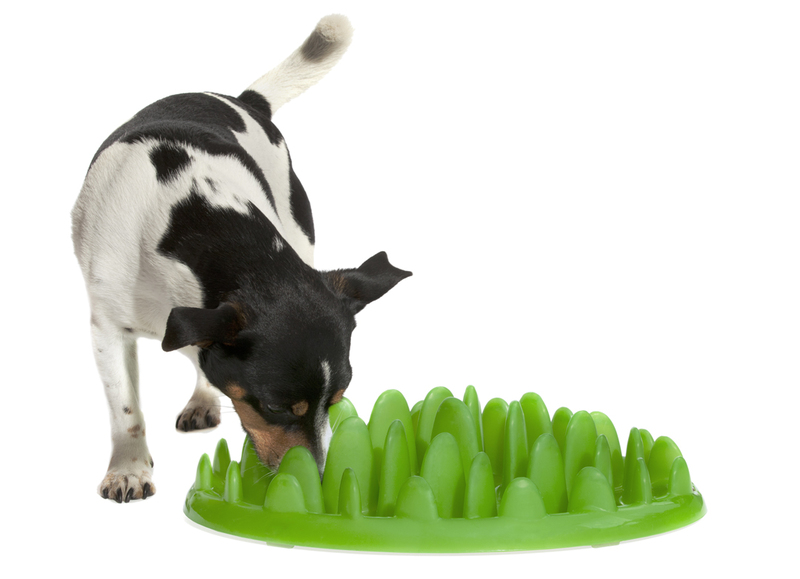 The Green Interactive Feeder by Northmate is a revolutionary way to turn every dog’s meal into a challenging game. Many dogs lack mental stimulation which can lead to boredom and unwanted behaviours such as inappropriate chewing or excessive barking. By entertaining your dog with their own food allowance you can stimulate them mentally and help to remove these problems. HOW DOES THE NORTHMATE GREEN FEEDER WORK? Scatter the desired amount of food across the Green and watch your dog ‘work’ to push the food out between the many blades of grass. You can even use wet food in the Green! We have also used it with home-cooked meals and raw food occasionally and though it's not ideal, it can work... You just need to ensure you wash the feeder thoroughly and scrub between all the modules after every meal. The most important feature to us is that it prolongs eating time (easily by 4-5 times in our case with an eager Malinois). This is proven to significantly reduce the risk of vomiting, gagging, gas and belching and also decrease the risk of canine bloat (GDV), a potentially fatal disease for dogs. Mental enrichment also results in a happier and healthier dog. 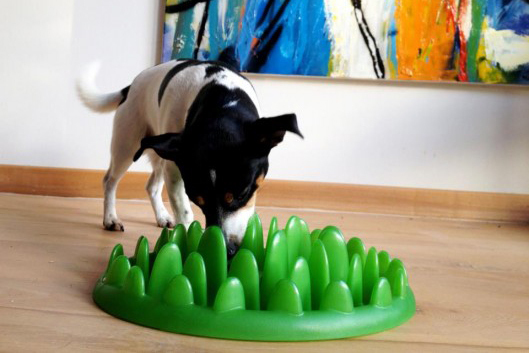 The Green slow bowl was designed so that one size can be used for all dogs, regardless of weight and breed. It is made of hard plastic and can therefore be used both indoors and out and is also completely safe to be cleaned in the dishwasher. There is also a Mini version for the smaller pooches. 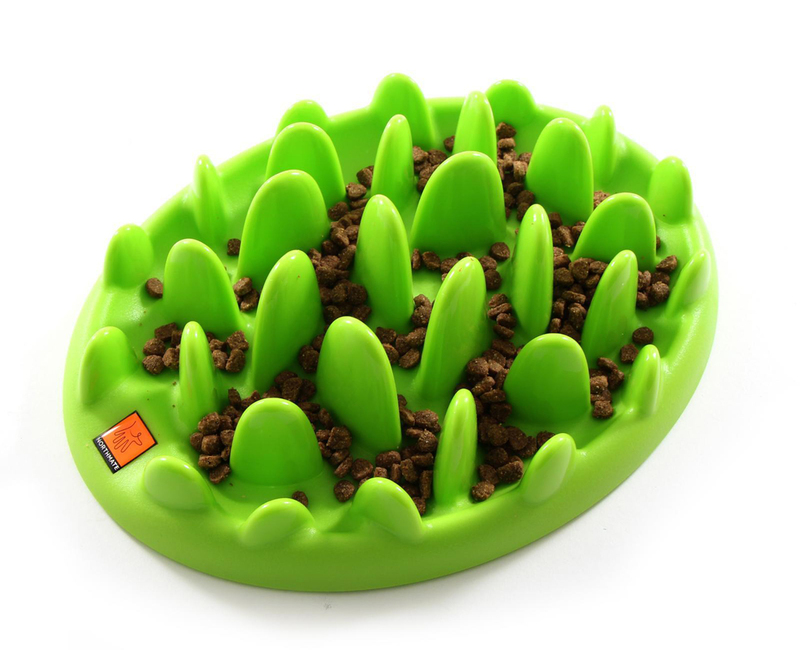 ► Beautifully designed, modern interactive dog feeder. ► Specially designed to slow down your pooch when eating. ► Looks great in any home - styled to look like a patch of grass. ► Easy to clean - Green is made of hard plastic and can therefore be used outside and cleaned in the dishwasher. Disclaimer: Product gifted by Lucky Pet for editorial consideration.